Are you the one running your business online, and also concerned about your WordPress Website’s security? As WordPress being the most famous CMS among the developers and the online website owners, its security is also a serious concern. There are various hackers who keep on their eye on websites and try to hack them. Therefore we need to have security measures to prevent our website from such practices. Even Google also blacklists around 50,000 websites for Phishing and almost 20,000 for Malware, So if you are actually concern about your website then you have to focus on the best practices for your WordPress websites’ security. 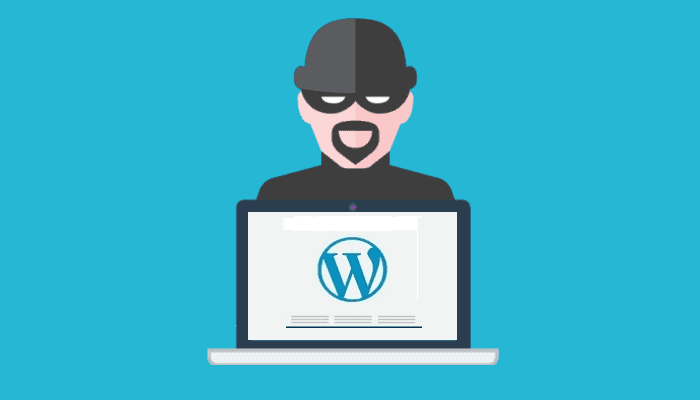 In this guide, we will share all the best WordPress security tips to enable you to ensure your site against the hackers. In this post, we’ll plot a couple of the most widely recognized WordPress security vulnerabilities, alongside steps you can take to protect & secure your WordPress site. Malware – Malware shorts for malicious software, It is considered as a very harmful file or program to the computer user, it brings the bulk of viruses, trojan horses, worms and spyware along that can perform various functions like stealing, deleting or encrypting sensitive data and much more through which the hacker can gain unauthorized access to the website without permission. Brute Force Attacks – WordPress brute force attacks refers to the trial and error method of using multiple username and password combinations over and over until a successful combination is tracked. This method exploits the simplest way of getting access to your website that too through the login screen. WordPress Security Vulnerabilities – These extend beyond the WordPress core, i.e into the theme or plugins that you install into your website. If the older versions are installed then the chances of getting attacked increases. SQL Injections – For operation purpose, your WordPress website uses a MySQL database. When an attacker gains access to your SQL Data along with all your website data then SQL injections occur. Through this new data can also be inserted into your database, that can also include links to malicious or spam websites. These issues can be sorted if you take precautionary measures to protect your website against these risks. Prevent unusual log in attempts – You can easily prevent unusual log in by limiting the login attempts. Generally, WordPress allows the user to try login as many times as they want but this makes your website more vulnerable to brute force attacks. This issue can be easily fixed by the Login Lockdown plugin. However, if you have a firewall set up than it is taken care of automatically. Keep on updating at regular intervals – Being a smart CMS WordPress by default updates the minor releases but for major updates, you have to do them manually. These WordPress updates play an important role in the security and stability of your Website. Ignoring the manual updates may lead your website more prone to attacks by hackers, hence you should always take care that your plugins are up to date. Using Security Certificates (SSL) – SSL shorts for Security Socket Layers, these are certificates trusted by websites like Facebook, Twitter, and Google. With the use of these certificates, you can see HTTPS instead of HTTP that ensures that your website is more secure and the connection is also encrypted and safer to use. Wp Includes Directory – The Wp includes Directory contains all the backend directions and codes that are useful for WordPress movement, therefore it is very important to secure the indexes and to stop the hackers from getting into the indexes, the security of the wp-includes directory is must and that you can do by editing the .htaccess file. Using Trusted WordPress Themes – In WordPress to develop a website various themes and plugins are already available in the directory, but not all of them are the trusted ones. Some themes lack in security checkpoints because of which intruders get a chance to harm your website in any way. To prevent this what you can do is before downloading any theme just check the reviews and then go further. You can also plan out your ways of selecting the right WordPress theme on yourself. Do not set a default username – In WordPress, when a site is created it set a default name as admin in all cases. This default similar name makes a way out for the hackers to break into your website by guessing possible password combination. So don’t let them in your website so easy! Just set a strengthy username and password. Always take WordPress Complete Backup – The best thing you can do in situations like your website get hacked or you have done some changes that are irreversible is have a complete backup of your website data. This will give you a sigh of relief in case any adverse situations occur. Access settings and permissions of files and folders – You should always check the settings and permissions of the access to your file and folders, just keep it accessible to you or the key members. This will reduce the chance of intruders to break into your website. Log out the idle users automatically – Many times the already logged in users wanders away from the screen and this may lead to a risk of hackers entering the site and make changes like modifying password or the data, therefore unlike many banking software you can also use this functionality of automatically logging out the inactive user. The plus point is it is available on WordPress. Set security questions on the login screen – When you add a security question along with the login credentials, it becomes much harder for the intruder to get the unauthorized access to the site. You can add this by installing the plugin called WP Security Questions. So these are a portion of the exceptionally fundamental yet some additional efforts requiring techniques you can use to secure your website. Anyway, more techniques which require more endeavors also exist and they can go truly far up too with regards to protecting your websites, yet it is of significance that a large portion of the measures referenced above can be performed. You can read more about websites security here. And to have a totally secured WordPress Website visit https://psds2wp.com/ , the experts here will provide you exceptional WordPress solutions for your businesses online presence.